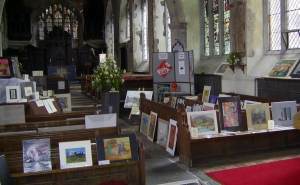 We hold exhibitions to display and sell art-work produced by our clients. The Prison Art exhibitions are well attended and gives the general public the opportunity to see the work produced inside UK prisons. People are amazed at the high standard of work from this 'hidden' art and are generally supportive towards the good work we do involving prison art.